Dailybuzz.ch: Khloé Kardashian Had Some Very Interesting Things To Say About French Montana! 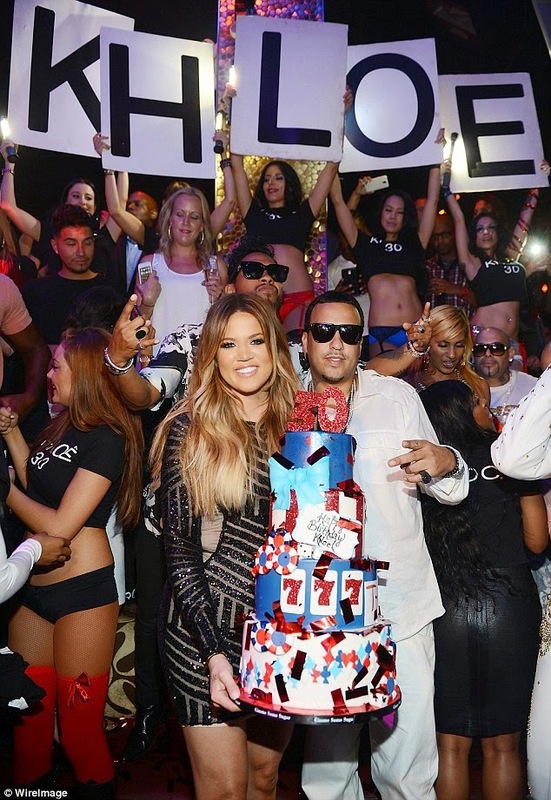 Khloé Kardashian Had Some Very Interesting Things To Say About French Montana! What a time this lady has been having recently! Khloe Kardashian reached a milestone at the end of June by turning 30 years old, and the reality star is STILL celebrating these days! She and her boyfriend French Montana were recently spotted at Tao Las Vegas this past Friday, and the two looked gorgeous together! Khloe wore a Michael Costello dress and spent the night with her beau at a VIP table inside the nightclub and was even presented with a BIG birthday cake in the middle of her celebrations! "He's just funny, he's light and easy. That's what I need right now. He's fun. I like that he's always happy. Smiles are infectious and contagious, so I like that." Sounds like French is able to provide exactly what Khloe needs these days! Although he may be forgoing his other responsibilities to do so! "I just want positivity and having fun. I don't know. I'm only a couple days in to it." So keep providing those laughs and good times, French Montana! That's all that Khloe wants!